I have three stories written that are so boring, they put me to sleep. I’m starting over. (sidebar) love what’s growing in the garden right now. While I’m here, hopefully whoever keeps leaving messages at sites like classmates.com and myspace will catch this. I don’t subscribe to either & cannot access the messages. I’m on facebook, listed as Suzi Kressler if you’d like to send a message there. Meantime, I’ll chew on potential content for the titles of stories that are pestering me to write about. Titles aren’t worth much without a story attached. It’s been an eventful year, so eventful in fact, that it’s distracting me from writing. Just for the record, I am not a professional writer, I merely have stories I like to share. Everyone has a story. I’m not finished but the food that’s cooking for dinner is. I’ll keep coming back as I can. I have no specific agenda here; we’ll call this rambling for now until something pops up. Picture from my office window. Waiting patiently (that is such a lie!) 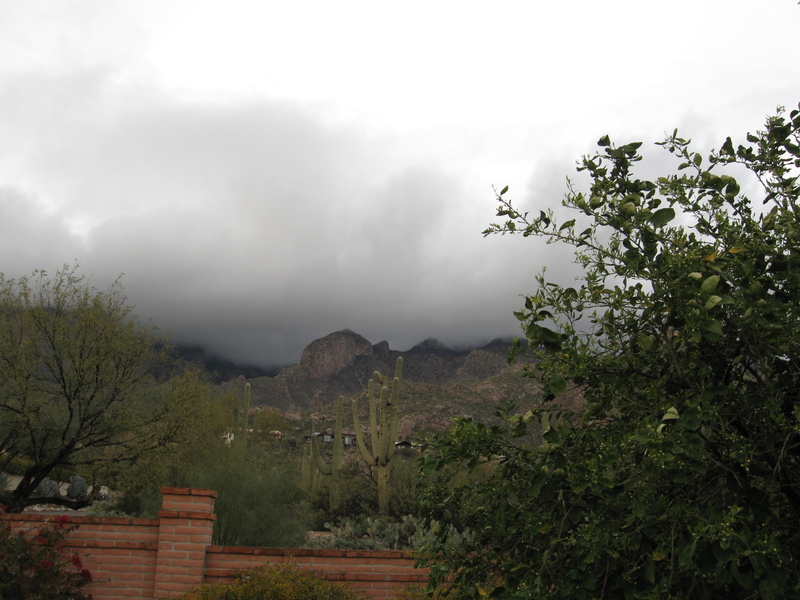 I cannot wait for the first cool, cloudy day. Hottest September in decades. Note to reader: This is a story I wrote five years ago. I had tucked it away underneath a bunch of files in my desk drawer. When I recently re-read it, I thought the story could stand some light. My dad died eight months ago after a very long battle with cancer. He was 85 years old. I am grateful to have had him near me for so long. I can count on one hand the number of times out of my 53 years that we didn’t live in the same city. We talked almost daily, visited often and celebrated every holiday together. I lived with the illusion that my parents would always be here for me because they were. Now it feels like I’m in new territory without an emotional compass. I felt close to my Dad at a very early age. He sang lullabies to my sister Lynn and me at night. “The Three Little Fishes” was my favorite. They got killed in the song, but my Dad used comical voices and hand gestures while singing and this way it still sounded like a goodnight lullaby to me. We often sat together in front of the television sharing a tin of sardines with onions on rye watching Amos and Andy. It was a fool-proof way of keeping the rest of the family out of the room. When I became an adult and owned my first home, like my Dad, I had a vegetable garden. We would compete as to who could grow the first tomato of the season; who grew the largest cucumber, who could boast about the biggest bumper crop of oranges, lemons and grapefruits. My dad felt like my backbone. When he died, it broke. His passing felt too abrupt. After he died, I started seeing psychiatrists, psychologists and therapists. I topped it off with a grief counselor. Finally, I became increasingly aware that no therapists, psychologists, or psychiatrists held magic healing pills in their palms. There was only grief to swallow. While most of his life my Dad seemed to favor nature and Blue Light Specials, I was into people. I focused especially on strangers, their expressions, words, their kindnesses or lack of them. I treat people as if I’ve known them all my life. My dad’s idea for meeting strangers was different: be friendly but not familiar! To me, they are friendly and familiar until they’re not, which thankfully isn’t often. I love to stand in line at the grocery store and listen to people’s conversations chiming in with my opinions as if we arrived to the market in the same car. My dad used to phone me and tell me to stop everything immediately and watch the early evening sky turn blood-red. I’d always tell him, “no problem”, but rarely obeyed. I figured sunsets would always be there and he wouldn’t know the difference whether or not I obliged. Like sunsets, I took him for granted. Now when I see a brilliant orange-red sunset, I pause and watch. Sometimes he’d call and tell me to head straight to Fry’s Foods. “Ten ears of corn for a $1.00”. I pretended to heed his advice, but didn’t. Now that he’s gone and I see 10 ears of corn advertised for a $1.00, I buy it. I don’t even want the corn, but a deal is a deal. Occasionally he’d call and say, “Put down your comic book and go outside! It smells like rain is coming!” I never read comic books. He knew it and I knew it, but he rarely ever called without throwing in a quip like that. I remembering crying myself to sleep at night at the thought of him being gone one day. I think I was about six years old then. When I was three, we were stationed at a military base in Bourne End, England. He rented a large Tudor home in a small village right outside of London. The two-story house was massive. It had so many rooms my dad locked a portion of the house to limit the number of fireplaces he’d have to light each morning. The house sat squat on several acres of land. He built the largest wooden swing that I’d ever seen. He suspended it with thick, braided ropes and hung it from an ancient chestnut tree on the grounds. Every time I see a swing now I think of him. I recently saw a set of swings as I passed a city park. I drove past them but turned around. Without a thought of where I was supposed to be, I parked my car and headed for a swing, sat and pumped my way up and away from my daily thoughts. Swinging is where I’d wish and dream as a kid. 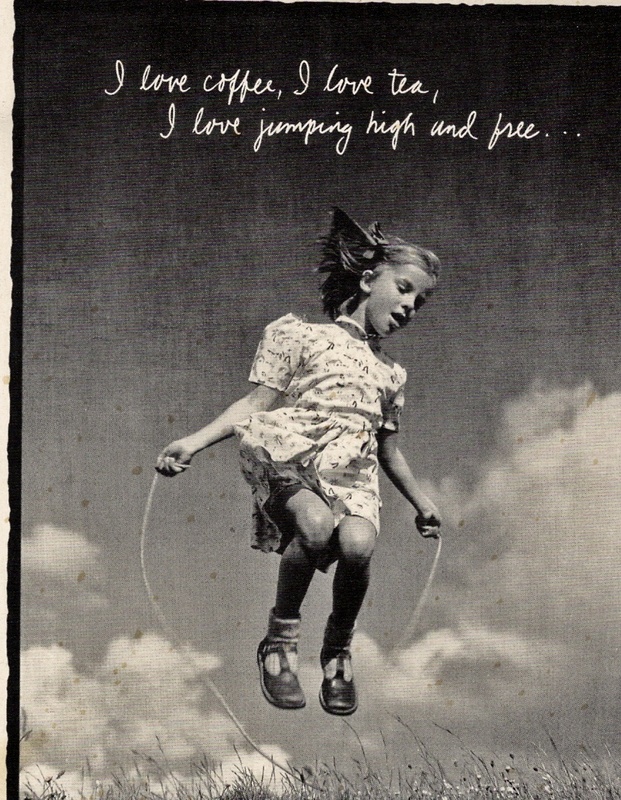 Now I swing and don’t wish or dream at all. I pump back and forth for the sheer joy of the air sweeping through my hair and on my face. During yet another one of his military transfers, our family drove from the East to the West Coast and through all the states in-between. At night I made my way to the front seat of our Ford station wagon while the rest of the family slept in the back. I’d lean my head against the window and sing duets with him of our favorite tunes. We sang Frank Sinatra songs and Bing Crosby’s and Grace Kelly’s “True Love”. He was Bing; I was Grace. He’d pull into a Howard Johnson’s and let me sit and sip coffee with him while the family snoozed in the car. I couldn’t have felt more special. I think I inherited his cynical gene. As a young adult, we would often sneak away after the family meal and retreat to his study. I’d lie on his bed while he watched a sport event and occasionally reach for his desk drawer to dip into his snack stash; sometimes Lays Potato Chips or Planter’s mixed nuts; foods our Mom didn’t allow in the house. We’d make fun of the guests that someone brought along or neighbors, which was pretty easy to do. It was lighthearted fun. Not such a great gene to inherit, but we did whisper. During one of my pregnancies I got horribly sick. I couldn’t keep anything down. In and out of hospitals to hydrate, I was also totally out of my hormonal tree and referred myself to a psychiatric hospital. I felt like I was dying rather than growing a new little human being inside my womb. I was diagnosed with panic disorder and agoraphobia and quickly released. Lock-down units aren’t very therapeutic for one who feels easily trapped. Throughout, my Dad was my faithful guardian and in true form with a sense of humor. As soon as I was released from the psycho ward, which my Dad referred to for years as my stay at “The Resort”, he’d drive to my home every day precisely at 11:30 a.m. to take me to the Big A Restaurant. He’d sit patiently while I ate the Number Six Special, a hamburger topped with mounds of Caesar salad. It was the only dish I craved. This routine went on for over a month until my hormones settled down. Memories like this still bridge him to my heart, especially when I wolf down a Caesar Salad. His dying process took forever. I watched him suffer way too much as he withered away. I learned about a new side of him that rocked my stability right out of orbit. It wasn’t so much the withering away that rattled me, it was the ever-growing fright in his eyes that terrified me while I’d sit close to him holding his hand. Watching him lose his grip, I eventually turned numb and tired. His gradual collapse made me feel like I was dying right along side. During that time I began to cry a lot. Tears in the middle of the night. Tears while driving. Tears when I mentioned his name or when someone asked how I was doing. I welcomed the tears nonetheless. They were his gift to me. Tears were my way to purge my heavy heart without spending a fortune on therapy. My Dad would have appreciated my thrift. I also spent too much money on books about grieving. Had he known, he would have told me to buy them used; Or better yet, get them from the library. Before he died I thought I knew what “sad” meant; however, I was ill-prepared for the sadness that overtook me when he was gone. Ultimately it brought me into his circle of what gave him joy. When he was alive, I hated birds. He loved them. Now I watch them scatter their droppings on my porch, which used to seriously disgust me. I finally understand there’s more to them and what they represent than what they leave behind. My Dad couldn’t build my character or teach me how to think, but somehow I learned to copy his style. He was a smooth talker and an incredible charmer. Like pros, we both smooth-talked our way in and out of sticky situations. Like him, I had no long-term goals of financial wealth or grand titles. Good enough things just dropped into my lap. This seemed to end when he died. His death left my lap empty. Shortly after he died I sat a lot; more than I ever had in my life. I’d catch Oprah on T.V., interviewing people who had overcome mountains of grief. I’d watch them; feel humbled for about ten minutes and go back to feeling sorry for myself. My Dad died like the man he was all his life. I didn’t know he was a fearful man until his final year and he was never horribly sick until he was. I saw him flinching at death, but not caring what others thought of him. He had lost his camouflage. One morning the phone rang around four a.m. His nurse said I’d better come right over. He was having a rough time. I called my brother Ken right away. We both showed up quickly. When we walked into his room, my dad looked exhausted yet clear. When he finally opened his eyes, he said, “I’m still here?” He wavered between the fear of dying and wanting to die because he was excruciatingly miserable. But most of all, he was afraid. “What a night! Glad it’s over. I love you both so much.” Then he closed his eyes again. That was the last time he spoke to me. My brother had to head back to his home in Phoenix and wanted to say good-bye to our Dad privately. I got scared and bolted. I told the nurse to call me once my brother had left. I didn’t want to see Ken walk out of our Dad’s room. I came home, a three-minute drive, and without thinking, walked into the back yard and started watering my citrus trees which didn’t need watering. 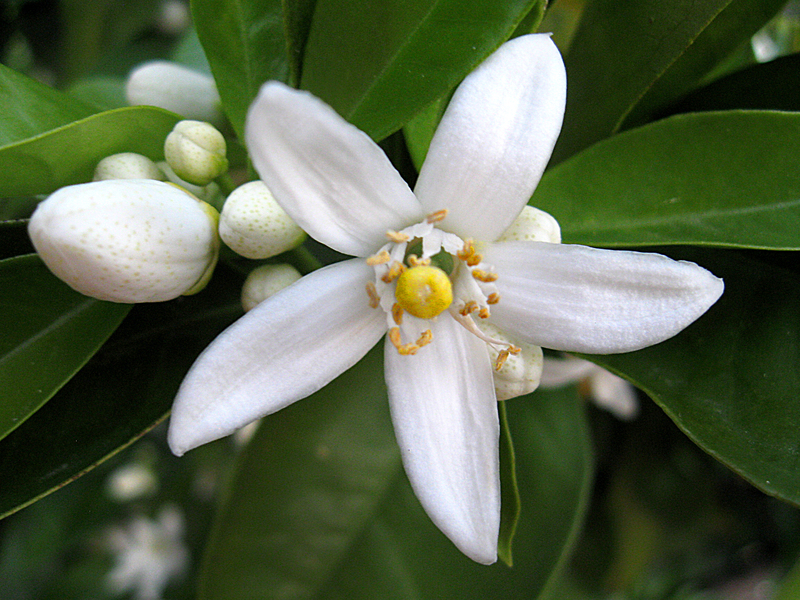 As I stood aiming the hose into the tree wells, I was overcome with the smell of orange blossoms for the first time. 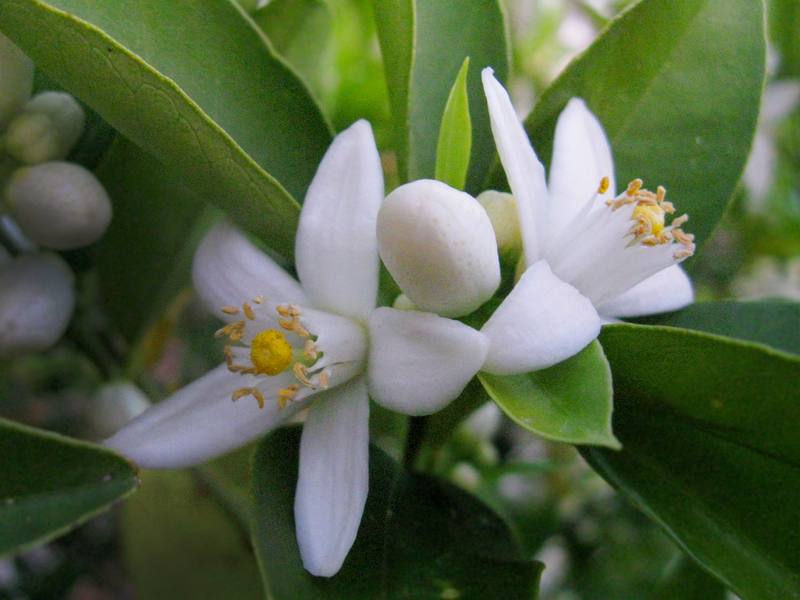 Orange blossoms were my Dad’s big thrill every Spring. It became a tradition to pay a visit to his back yard and have morning coffee with him when the white blossoms filled the air with their sweet perfume. I always pretended to like it. Truth was, smelling them was not high on my priority list but I didn’t have the heart to hurt his feelings. Still pointing the nozzle into my tree well, I could hear the phone ring inside the house. I didn’t pay attention. I’d just been at my Dad’s; surely the call was from someone else. I just kept watering and feeling overwhelmed with the smell of orange blossoms. Suddenly, I looked up and saw my daughter standing by my side. She gave me that look. My head was swirling with perfume and panic. 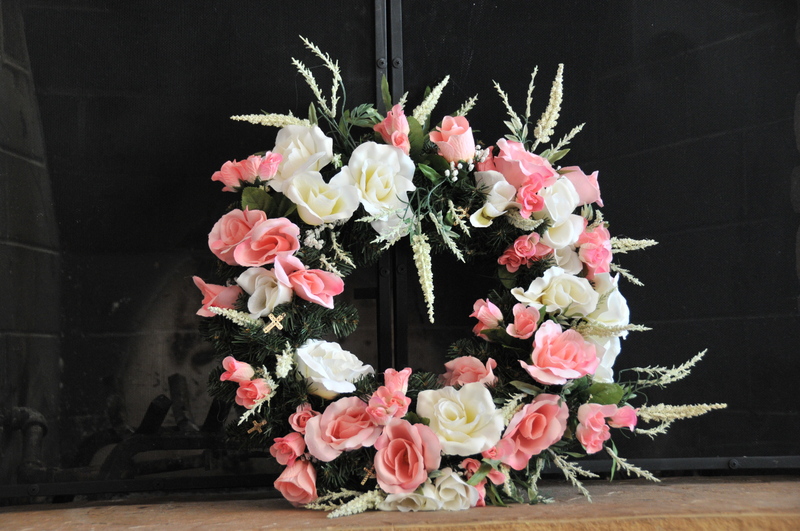 I inhaled deeply, knowing my Dad had taken his last breath. The BEST Chicken Soup with Leeks,barley and yes..prunes! Complete Recipe. I added part two for an easier read. This amazing soup will indeed surprise you. It surprised me when my dear friend Janis gave it to me. She doesn’t know who created this mouthwatering, healthy masterpiece, but whoever you are, thank you! Who would have thunk? Prunes in soup? Trust me, you don’t taste prunes, you taste a richer broth (& you get the benefit of the best colon cleanser to date!) I took a photo of the prunes but worried that they’d scare you away. Instead I chose leeks, I love the variation of green to white. I feel healthier just staring at them. I make much more than what this recipe calls for – Triple? Maybe more, I don’t measure. We loved this soup so much I bought a non-reactive, heavy bottomed (to prevent burning) 10 quart stock pot. I like to keep a pot of or a casserole of or a sauce of something ready-made if I don’t feel like making a meal from scratch. Leftovers around here are eaten any time of day including breakfast. The measurements below are much less than what I use. You choose. Meantime, if you’re interested, next time you go grocery shopping, print this out and pick up these ingredients. By the way, first day you’ll make the rich chicken stock. Here are those ingredients and here we go! You can start here and by the time this step is cooked, refrigerated overnight, fat skimmed, chicken shredded and the stock strained, you’ll be ready to put this all together. 1. Bring all ingredients to a boil in a large stockpot. Lower heat, cover partially and simmer, skimming occasionally for 1 hour. (since I use more than one chicken, I simmer for about 2 plus hours. I also add peppercorns, bay leafs, parsley and sometimes I throw in a chopped yam, parsnip, turnip, whatever is in the veggie bin. Well, not lettuce, cucumbers, beets, etc. Think soup stock and grab what looks good to you. 2. Remove chicken. Cool and shred. 3. Strain stock -this will last for up to three days or you can make a whopping batch & freeze for another soup or this one at a later time. Keep plenty of boxes chicken stock on hand if you’re making a larger amount. Just be sure you have a good amount of stock simmering. Once you throw everything in, you’ll see how much more boxed stock to add. The above ingredients are for the rich chicken stock only. If you want to buy everything at once, add to your shopping list: Again, read below the ingredients if you’re doubling or tripling. 12 whole pitted prunes, quartered, or if they’re very big prunes, chop fine into bits. With the exception of what can go bad and it looks like parsley is the only fresh food that could possibly be wasted I buy everything in bulk. I don’t measure pounds of leeks. I stuff two plastic produce bags full and consider that the amount. Onions, celery, carrots, garlic, prunes and barley are considered staples in my kitchen. I buy in bulk since I use more of everything, no matter what the recipe reads. Now that you have your stock and chicken shredded, let’s put this soup together. Melt the butter (how much depends whether you are doing what I did, tripling it, or if you followed the exact ingredients listed. Melt butter in a large, heavy non-reactive saucepan. Add the leeks and cook over moderate heat, stirring frequently for about 10-12 minutes or until they’re translucent (I cook them longer. I like the almost golden but not burned look). Add the barley and cook stirring frequently for about 30 minutes. Add the rich chicken stock and prunes to the pan; season with S & P.
At this point, you’ll know if the pot needs an extra box or more of stock. Bring to a boil then lower to a slow simmer. Cover and simmer for at least 30 minutes. I simmer everything longer for a richer flavor. Add the shredded chicken to the soup and cook until heated through. Adjust seasonings. 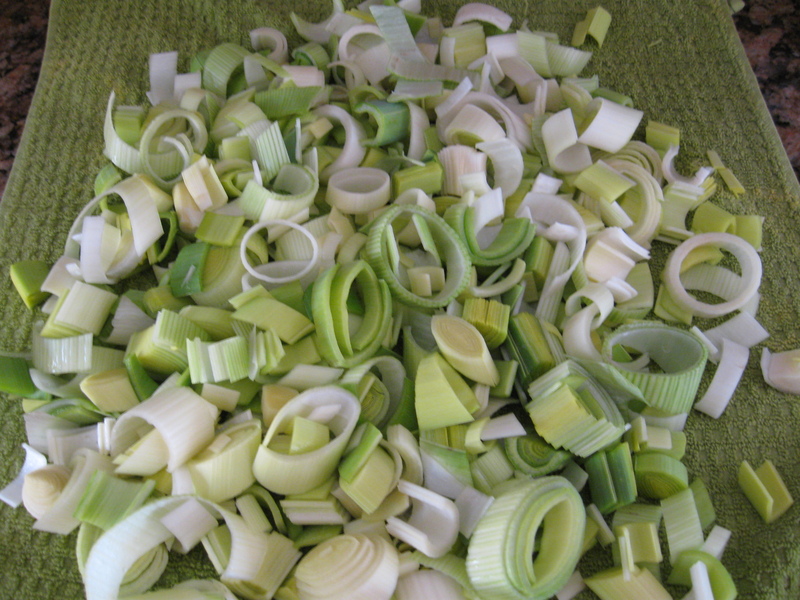 Note- The batch I just made left me with too many leeks and more chicken than I wanted to add to the soup. I’m going to make a chicken salad with red grapes and the leftover celery and a quick leek and potato soup. I used four extra boxes of chicken stock, the soup just kept growing. Not measuring comes with a small price. I don’t like running to the store for odds and ends. If you follow my recipes, know that it’s best to always keep many boxes of free range or organic stock on hand. Beef, Vegetable and Chicken. Trust me, you’ll use it. The expiration date gives you months. No worries there. This is a very delicious soup and worth your time, although more time is spent without your help. The simmering, the refrigerating, etc. I now have a week’s worth of this luscious soup which most likely will be eaten within a few days. In the middle of my fourth grade, we moved to my father’s new station, Amarillo Air Force Base in Texas. An energetic nine-year-old, I was eager to learn the ropes and settle in quickly since we moved every three years or less. Fortunately, living on base was an easy way to learn who was who and where they lived. The school bus began its weekday morning route in the non-commissioned officers (NCO’S) neighborhood at the bottom of the hill and ended the daily pick up of kids at the top of the hill in the full Colonel and General’s quarters. My bus stop was right in the middle. Because my father was a Major, we lived in the Officer’s quarters in-between the bottom and the top. Starting at the bottom, where the NCO housing was located, duplexes in need of a coat of paint stood with small barren yards. We lived above them, in a single home with a bigger yard but below the high commissioned officers that resided in even larger homes with really big yards. Since the school bus returned us to our street each afternoon after school, first dropping off the NCO kids, I noticed quickly by many signs, including the different uniforms the men wore based on rank, and the number of silver bars that were pinned on their uniforms that “status” was intentional. Riding the bus, I could view who had fancier, newer cars parked in their carports and who didn’t. Who had gardeners pruning and mowing lawns, and who didn’t. Who had lovely curtains in their living room windows and who didn’t. I considered myself lucky living in, what I called the “safety zone”, smack dab in the middle of our pre-destined station where I felt comfortable playing on either side of the fence. When we first moved there, our mom re-enlisted my older sister Lynn and me into the Girl Scouts. My mom was the Girl Scout leader for Lynn’s troupe. I didn’t fight being in my troupe, because my choices for joining teams and groups and anything related to spending extra money were limited. My dad’s income and four kids determined my social life. If it was free, my mom signed us up. Girl Scouts, here we came. As a result, I spent two summers at the local Girl Scout Camp. I didn’t favor Girl Scout Camp. Truth is, I hated it. It was both predictable and boring, but it was the only camp I knew about and the only camp my parents could afford, so I went. Besides, we quickly tired of the free base pool after a few weeks when summers came. The NCO pool and the Officer’s Pool were separate. The kids from the NCO pool played, laughed and swam more than at ours, probably because most officers’ kids weren’t at our pool. They vacationed, took horseback riding lessons, and participated in summer activities that required a hefty fee. While the base movie theater was cheap, it showed the same movie for a whole long week before showing a new one. The first summer my sister and I got really sick of Gorgo, the animated Gorilla that towered over San Francisco. With one arm he would wipe out a city block. In spite of the lousy movie, I went anyway for the candy, sodas and popcorn from the change I stole from our Dad’s dresser top. Girl Scout camp offered at least a change of scenery, even though it was a dusty place, landscaped with tumbleweeds and smelly cabins. Each morning we gathered in the cafeteria to eat soggy, cold eggs or cheap cereal. Pitchers of fake colored juice were placed at each table. Undrinkable, colored water. We’d sing our drippy morning songs that were so silly, I’ve erased them from my memory, and the counselor in charge for the day would read the day’s events in her usual monotone voice. Obviously she didn’t favor being there either. Though Mom had sold us on this camp as a “great adventure,” I could hardly define it as such. Every afternoon we were instructed to write letters to our parents during down time in our cabins. Down time was a nice way of killing some hours since there wasn’t a full day’s worth of activities available. The one overnight camp outing was essentially a night of intense discomfort, with mosquito bites and the parched Texas earth beneath our thin sleeping bags. What was supposed to be the best outing of the session was the worst, because it included S’more’s night, the finale of our weeklong camp session. “The big treat!” We spent more time building a fire, bending coat hangers for the single marshmallow given to each of us, singing Kum Bah Ya over and over and over again, chewing dust and lingering in anticipation for our turn to melt our one marshmallow that was squeezed in with the tiny piece of Hershey’s chocolate and sandwiched between two halves of a graham cracker. One per camper. Talk about budget vacations. It felt more like teasing than a treat. Thinking I was clever, I tried everything in my power to get more than one. I said my marshmallow fell off the coat hanger into the fire. I lied and said they forgot to give me my ration of the sliver of chocolate. They were on to me from the beginning. It never worked. Probably because I had chocolate smeared on both corners of my mouth. That night as I lay on that hard Texas ground in my flimsy sleeping bag, slapping mosquitoes on my face and neck, I vowed that someday when I was a mother my kids could eat as many S’mores as they wanted and when that time came, I followed through. I taught my kids to make S’mores in the fireplace, the oven, microwave and even over the stovetop. They could eat S’mores whenever they asked. Fortunately, they didn’t find them as mouth watering as I had as a kid. Even before marriage and motherhood when I lived alone as a young adult, I’d make late night S’mores over the gas stove just out of spite. Then chocolate pinwheels came on the scene already packaged and ready- to-eat cookies with similar ingredients. I could down a whole package in one sitting without a flame. GS camp sucked for more reasons that just S’more deprivation; it was just plain boring. The food was bad and in general, we spent most of our time earning patches. Patches weren’t good enough for me. Those little round embroidered images of a camp fire (that would be the camp fire patch), the sewing patch, the hiking patch; there was a patch for just about everything short of complaining. There was no adventure patch. How could there be? It was Amarillo Texas; it was dusty and hot. Tumbleweeds didn’t provide much shade. These large balls of weed would fly by us when the wind kicked up. Not a pretty picture compared to the rolling green hills and fields of flowers in England we had left behind when my dad was transferred. My friend, Cathy McDonald, didn’t go to Girl Scout camp. She took her annual summer trip by bus to a real camp outside Oklahoma City. She’d regale me with stories of true adventure; water skiing, fishing, canoeing and swimming in a wonderful lake every day. A far cry from Girl Scout camp. Although Camp Kiwanis was not an inexpensive camp, I was determined. Cathy’s father was a full Colonel. Not only did she live in the biggest home with the biggest yard, she had her own bedroom, her own radio, monthly visits to a beauty salon to get her hair cut and most of all, more opportunities. I’d spend weekend nights at Cathy’s and I enjoyed every part of staying there. She got to shave her legs, I couldn’t yet but I did at her house. Cathy was allowed to help herself to late night snacks. Anything; cookies, potato chips, chocolate milk, peanut butter on white wonder bread – whenever she wanted. Our family rule was no food after dinner. Plus we didn’t have our pantry filled with snacks like that. My mother was right up there with the first health food addicts in the 50’s, Adelle Davis and the Garden of Eden were her Bibles. Herbs, herbs herbs and whole foods. We ate dry, heavy dark breads, anything in the form of millet and brown rice. No sugar, no white flour and definitely no chocolate milk. Even we labeled her a quack. It was Heaven staying at Cathy’s. We would lie on her bed at night and she’d share stories of her previous summer adventures at Camp Kiwanis. I remember lying next to her under her canopy bed with bright red little cherries embroidered around the hems of her pillowcases, listening with envy to her camp stories. Cathy’s parents always welcomed me into their home. Perhaps they thought of it as community service, to teach their daughter to mingle with others besides the kids in her exclusive neighborhood at the top of the hill. Over time, I became more obsessed with the desire to go with her to Camp Kiwanis in Oklahoma City. 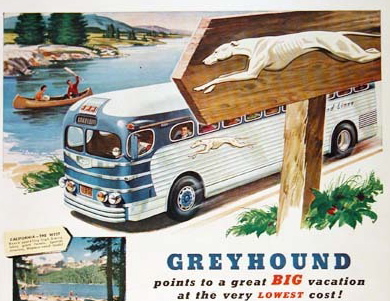 By our third and last summer in Amarillo, my parents agreed to pay for the greyhound bus ticket and supplement what I couldn’t earn as long as I tried. Cathy’s mom helped me earn money for camp by teaching me how to make homemade bread. And so we baked. Almost every Saturday for at least 2 months, we would flour up her kitchen all morning long and by late afternoon, we’d load up my brother’s radio flyer with wrapped fresh bread ready to deliver. Cathy’s mom usually took over around noon when we’d look kneaded out. By late afternoon after a rest, we looked too refreshed so we’d put flour in our hair and wipe our clothes with it so we’d look like authentic bakers. We canvassed her neighborhood, door-to-door selling fresh bread. We never had a problem selling every loaf. Cathy’s father was the base commander. I think that had something to do with the neighbors welcoming us into their homes often paying more than our asking price. It was also nice to return to a sparkling clean kitchen that I didn’t have to help clean. They had a maid. I don’t remember how much I earned but my parents covered the rest. We finally settled down and at one point in the deep of night, I leaned my face against the bus window on the cool glass, looking up and felt mesmerized by the black night heavily dotted with twinkling stars and thinking how lucky I was. I was really flying the coop! We stopped once at a roadside diner. Rule number two from my parents, “Don’t buy junk food” was my second broken promise. Instead of buying a meal, I loaded up with candy bars and a bottle of coke. Rule number one: “don’t speak to strangers”. I had already broken that one hours earlier. When we arrived at the bus station in Oklahoma City, a young man greeted us and led us to a large car with a sign painted on both sides, “CAMP KIWANIS”. I felt very privileged indeed. I decided it was a limo. Having heard from Cathy that awards were given out at the end of our 2-week session, I was determined to get one. For a change, I wanted a real award, and not another Girl Scout patch! The possibilities included: Water skiing awards, canoeing, swimming races, diving, and the most creative craft award, to name a few. Time was running out. Thinking fast I came up with the idea of tipping the canoe over one afternoon with several of us in it. I proceed to “save everyone”; first by leaning and tilting the canoe over, then flipping it back to its upright position and helping my two fellow rowers get back in the boat. Not that anyone needed saving. I took the lead role as savior and it worked. Did the trick. At the final ceremony I was given the Best Canoe award in the form of a real plaque. Compared to Girl Scout Camp, Camp Kiwanis was paradise, nestled in a green mountain. There were no tumbleweeds, and even the dirt smelled good. The sky was clear almost every night, stars that looked so close, I thought I could reach them, and we got to eat more than one S’more when we sat around the nighttime fire. We sang each evening as one of the camp counselors strummed her guitar. I loved to sing, especially their choice of songs. Even Kum Ba Ya sounded better there. There were tall, green pine trees that smelled like trees, a lake full of fish that were so easy to catch and even though I caught the most I threw them back in. There was no fish catching award. The food was homemade; foods that were supposed to be hot were hot and the cold drinks even had ice cubes. Every day we dined on a different dish and mid day snacks were available at any time. There was “down time”, but we were allowed out of our cabins and could spend that time sitting under trees visiting with new friends, fishing, or crafting something in the art room. There was water in more than one place; unlike Girl Scout Camp in Amarillo where the only water I felt was in their cold showers. Thankfully we were transferred the following spring to another station, because by that time Cathy Mc Donald and her family had been transferred too. I sat close to my Mom in her Hospice bed with my laptop where laptops usually sit – on my lap. She was unconscious, still; yet she looked like a passenger comfortably sitting in the seat of the plane, waiting on the tarmac for her plane to take off. I’m not intuitive enough to make such a leaping prediction. The Hospice nurses who came and went every 20 or so minutes answered my only question with the same answer, ” it could be any time, She’s actively dying.” For all the traveling she did in her life; she packed, unpacked and packed again during our Dad’s military transfers, this was looking like her last trip with a one way ticket. For the past few years I’ve heard “any time”, but to hear “actively dying” coupled with a Hospice bed now, I knew she was closer to leaving and this time maybe she would. Thinking back, she told me four years ago after our Dad died that she didn’t want to be here anymore. That’s when she knew me, when she knew she didn’t want to be here, when the horrid phase of Alzheimer’s brings panic and fear. They were terrible days for her and terrible days to witness. In Emergency rooms where we’d end up due to occasional episodes, she’d scratch imaginary worms off her body until she bled and insist that the flecks in the linoleum were worms. She’d lean down to the floor and try to rub them out with her fingers. I learned to agree with her no matter what she said, heard or saw. I agreed that Frank Sinatra was singing in the walls behind her bed, that there was commotion upstairs. There was no upstairs. Correcting her upset her even more. I learned to agree with her that her mom, brothers and sisters were still in Philly. Reminding her that they had died years ago only lasted for a few minutes in her puzzled panicky mind anyway and she’d just ask the same question again within minutes. And worse, it upset and confused her. I rarely said “good-bye” at the end of a visit without her begging me to drop her off at the bus stop to catch the trolley to the city so she could go home. That was over two years ago. She forgot who I was last year. Some days I was her childhood best friend. On other days I was her neighbor or a co-worker from the late 40’s. Recently, I’d been just a nice stranger who dropped by, smiled a lot and smoothed her hair away from her face. She forgot she hated having her hair close to her eyes. I didn’t. I agreed to be whoever she thought I was. I sat in her Hospice room and in-between holding her hand, I worked on a childhood story I wrote; a story that included her. Given the circumstances, the story changed from the story it was to a story that is now in bits and pieces. I decided to file it away for another day. I took my eyes off of the keyboard to gaze at her still face and her quiet hands. I thought about her life, I thought about my life with her. Every memory of her came alive, every line on her face told a story but her hands held the strongest of memories. Now so soft from lack of use, so limp, so thin skinned and yet if love could be seen with the eye, I saw love in her hands. I saw decades of her hands hard at work; homemaking, mothering, packing, unpacking, creating, grand mothering, nurturing, hugging. I decided to be who I am, her daughter. I whispered truths into her ear. No more make believe stories to prevent angst and worry. She didn’t look anxious and worried anymore. I whispered every possible thing I could think of that might leave me full of regret if I didn’t. I told her how much I loved her, how grateful I was for her constant devotion as a mother. I thanked her for instilling in me the true meaning of faith. I told her that her mom, her brothers, her sister, my dad were waiting for her. I told her the trolley was finally here. 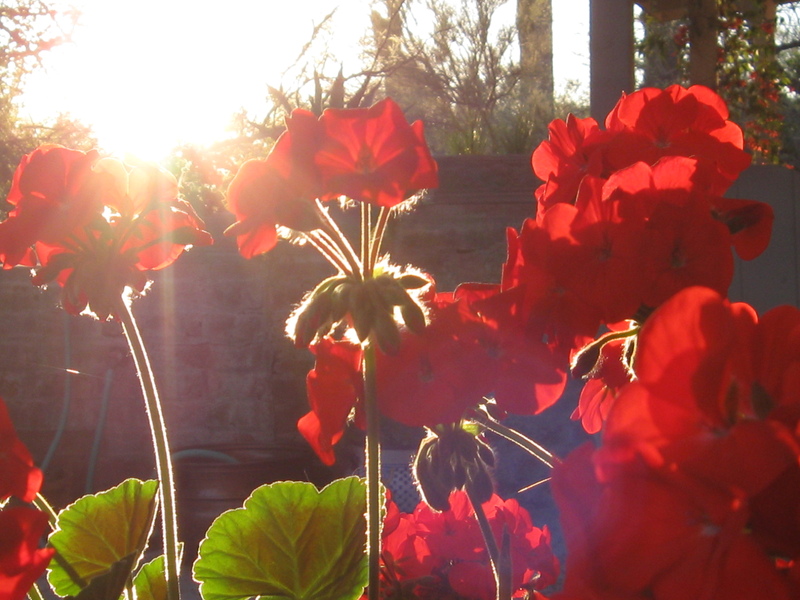 Note to reader~ That night my mom flew but on the wings of angels. I love Albondiga Soup. I love soup! Albondiga’s is not just traditionally loved in the Old Pueblo and served in every Mexican Restaurant in the vicinity, it’s loved by most who’ve eaten a bowl of it. Some call it Mexican Meatball Soup, I call it what it is: Albondiga’s. I’ve tried many versions; adding, substituting, and revising for almost 30 years. This recipe is my favorite. Even though this recipe comes with each ingredient having a measured amount, I never measure. I use probably more of everything listed but this is a good guide to use until you find your favorite way of making this hearty, stick to your ribs, easy to eat soup. About the beef stock. I’ve simplified. I buy beef stock in quart boxes, preferably organic but not always. Pour all the beef stock into a large soup pot and bring to a slight boil, cover with a lid & move on. Mix beef, salt, pepper, garlic, eggs and Masa Harina and set aside. Take ½ of the chopped mixture and add to the beef mixture. For each serving squeeze thin slices of fresh lime into each bowl. I love lime and because I do, I squirt the whole fruit into one bowl. We eat this soup with fresh warm flour tortillas on the side. They’re good for dunking . How far I fell, I don’t know to this day. Every newspaper article written about Tanque Verde Falls since that day, including the ones about me, cites a different footage. You’d think after 40 plus deaths, someone would have taken a measuring device there to confirm the height of that waterfall. That many deaths warrant at least that. Some said it was 50 feet, others speculated up to 120. The US Forrest Service states between 80 and 100 feet. All I know is what friends, strangers, the search and rescue team, the media and a couple who were picnicking below the falls told my parents. I was lucky. The young man at the bottom of the falls saw me hit the pool below, jumped in and pulled me to the surface. He and his fiancé held me in their arms, keeping me afloat. I heard later that most people don’t hike up from that canyon floor It’s too difficult. Most begin from the top. Thankfully, these two Californians had. They floated me on my back for over two hours waiting for the rescue team to show up. I could hear my friends panicked voices from above the falls, but I couldn’t respond. “She has blood coming out of her head!” “She’s got blood coming out of her ear.” “She’s bleeding out of her mouth.” “Her chin looks messed up,” and worst of all, “She’s dead, Oh God, she’s dead!” I knew I wasn’t dead. I could hear them. I heard people shouting for help. My friends were screaming from above the falls. I wondered what the fuss was about because I felt no pain. I learned later that a helicopter had tried to reach the area, but the narrow canyon was too dangerous for that. Instead, a Search and Rescue team hiked down and tied me into a stretcher, pulling me up with a rope and out of the canyon. By the time they got me to the road, an ambulance was waiting. The TV crews, newspaper reporters and many voices all sounded like an off-key orchestra. My only thought was, “Oh crap! My parents will get home before I do”. The rest of that afternoon was a blur. At times, I knew where I was and then I didn’t. I felt every bump on the road to the Tucson Medical Center, as the ambulance rushed me to the E.R. The hospital staff was asking questions I could’nt answer. They called the base commander to come to the hospital and give permission to treat me. I needed blood. I needed a lot. I was underage. Someone had to sign permission forms to let them patch me back together. My parents couldn’t be reached. They were still in Oracle, thinking I was at home ironing. They were busy praising my younger brother for earning his Boy Scout patches. Personally, I think I got more patches that day than he did! I opened my eyes when the emergency room nurse approached me with a pair of scissors in her hand. She started to snip away at my new burgundy top. I begged and pleaded for her to stop, but she won. She cut right up the middle of my top, my bra and then dismembered my cut-offs into shreds of denim. She could have aimed for the seams, making my top repairable, but she seemed in a hurry to get me naked. Next came a catheter, IV’s, needles, and off to get X-rays. This was the first real pain I felt all afternoon. The X-ray table was cold and hard as steel. The technician positioned me into unbearable contortions. That cold table singed my skin like dry ice. I could feel my bruises and fractures coming to life. He snapped an album’s worth of x-ray film. Once my photo session was over, they wheeled me back to a holding room. I just lay there, in too much pain to think. Hours later, still drifting in and out of a haze, I saw my parents standing over my bed. I was sure my mother was frosted about the ironing and that my Dad was livid about joyriding in his Rambler. Instead, I saw only fear in their eyes. Their voices were gentle. They tried to touch me but couldn’t find places on my body not broken or deeply bruised. I thought that this wasn’t so bad after all. They weren’t yelling. Iternists, nurses and surgeons specializing in orthopedic and neurological traumas came and went. I was getting very hungry. “No food,” they said. How rude I thought. My chin had been cut wide open, wrapped in temporary bandages to keep it from bleeding. A plastic surgeon showed up next to stitch me up. The slice ran across my chin, resembling the edge of a jagged rock I must have hit. By late evening, I was transferred to a double room. It was the first time people weren’t hovering over me wrapping, poking, sewing, or adjusting new tubes that were inserted into various parts of my body. I wanted to talk to my friend Janis, but couldn’t reach the phone. My new roommate, an older woman, graciously came to my side of the room, put the phone on my bed and placed the headpiece to my left ear. I told her the number and she dialed. I couldn’t hear the phone ringing. We tried again and again. She put the phone to her ear and assured me that someone was on the other end. I panicked and quickly pushed the red button for the nurse. She was there within moments trying to calm me down. “I can’t hear out of this ear!” She left as quickly as she came and within a short time an ear specialist showed up with his equipment. He ran some tests. Once he was finished, he said nothing and left. My roommate turned the television on for the late night news. I watched myself on the screen. The news anchor sounded solemn and the pictures seemed startling yet foreign. It all looked and sounded serious. Loss of hearing in my left ear from trauma to the inner and middle ear, brain injury, and bone fractures from my head to my feet, including shoulder, ribs, hips and toes. Oddly enough, my bruises hurt the most. I had no idea what all of this meant except that I was told I wouldn’t be leaving the hospital bed for some time. My world was reduced to traction, bedpans, and lousy hospital food. After nearly four weeks I was discharged with a walker, and instructed to stay in bed. School was starting and my life had changed. I remember not looking forward to the proverbial “what did you do last summer” questions from my teachers. I gently smoothed out the wrinkles of the front page before I tripled folded the newspaper back into its original shape. As I rolled the rubber band over the Daily Star to bundle it secure, I knew I didn’t need to read beyond the headlines. In Section B would be a description of a fine young man who once was, studded with names of those whose lives would be now changed forever. The paper felt as light as ashes. Then the phone rang. Cinema Profound on Note to reader: This is a story I wrote five years ago. I had tucked it away underneath a bunch of files in my desk drawer. When I recently re-read it, I thought the story could stand some light. Suzi Kressler on Note to reader: This is a story I wrote five years ago. I had tucked it away underneath a bunch of files in my desk drawer. When I recently re-read it, I thought the story could stand some light. libithina on Note to reader: This is a story I wrote five years ago. I had tucked it away underneath a bunch of files in my desk drawer. When I recently re-read it, I thought the story could stand some light.